Back in “real time”. 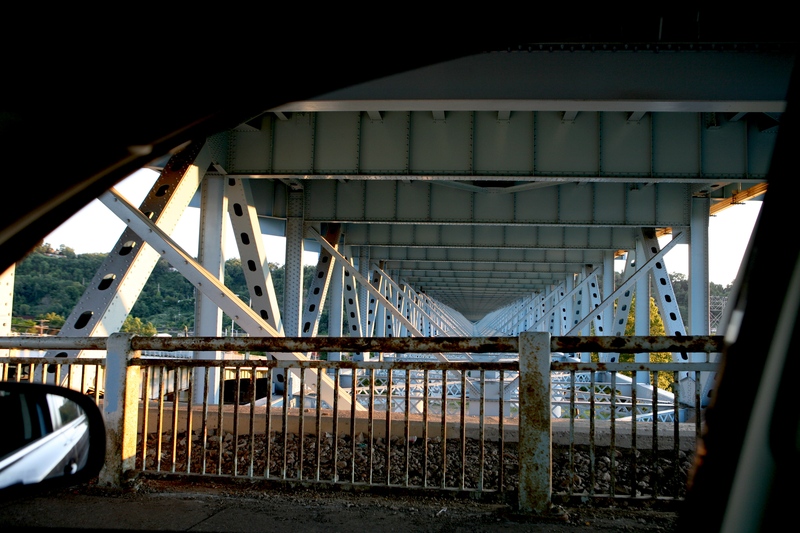 Not that I didn’t enjoy the chance to dig in the archives- but Monday night I was driving by the Rankin Bridge from Swissvale and saw the setting sun on the side of the bridge. Shone like a yellow bridge (it’s actually blue) with the late golden light on it but just an ordinary shot, straight on. It did not “speak” to me. Drove another 50 feet. Stopped at the red light ahead. Saw this view. It seemed to go on forever, the repeat of the braces. Rolled down the window and was able to capture the underbelly of the “Steel cantilever spandrel-braced deck arch “. You can’t tell from this angle that the Monongahela River is seventy five feet below. Or that the bridge is 2,427 feet long! I got that good info from here. 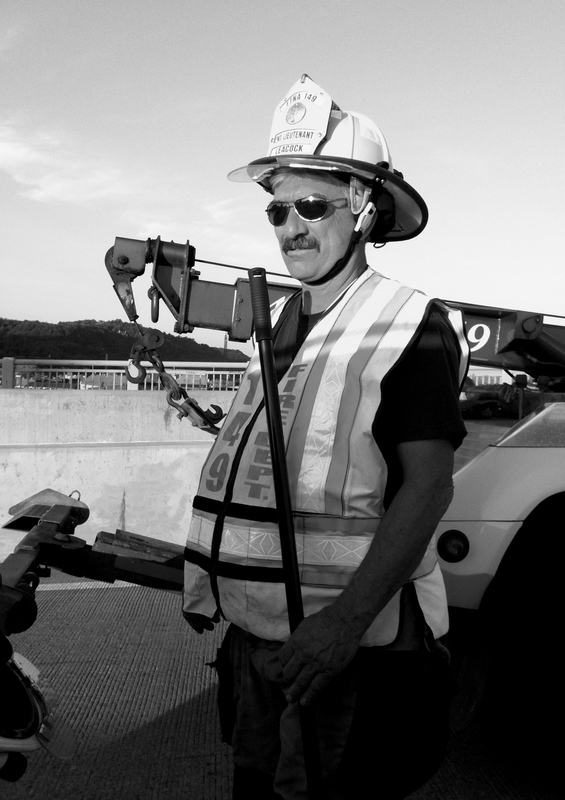 There are a lot of bridges in Pittsburgh. Don’t see underneath them too often, though. You might remember this view from the Rankin Bridge of a barge being pushed by a tug. 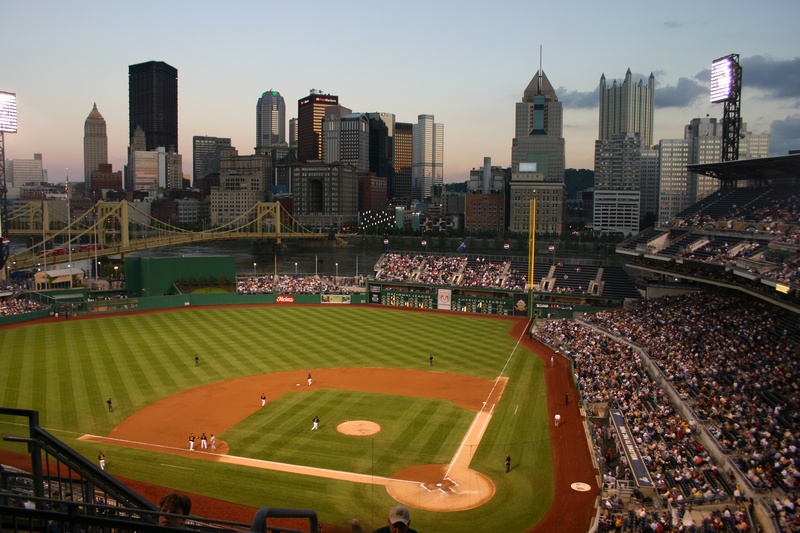 If you suffer from gephyrophobia it would be difficult to live in Pittsburgh. What About a Billy Burger? Driving to Spokane airport in the early morning(July 2006) from Okanogan, WA after visiting our brother David. This is in Wilbur, WA. Unfortunately Billy Burgers was closed when we drove by. I stopped and took just one shot of their sign. I know I said I’d be back to “real time” blogposts starting today but the back-to-school has taken more energy and effort than I realized. Soon. Have to find a rhythm and stride. Keep or Pitch on unintentional hiatus as well, just couldn’t think about throwing anything out right now. 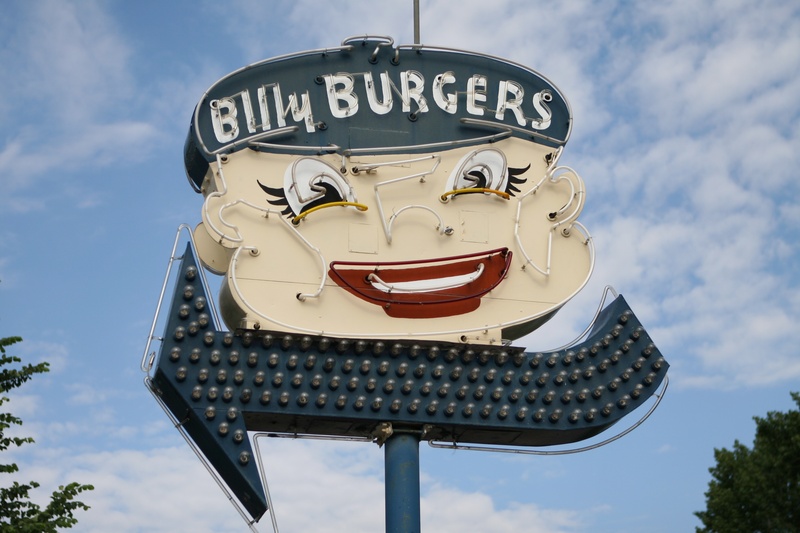 I read here that Billy Burgers has an extensive collection of salt and pepper shakers. Somee cool photos to shoot. And there are several crop circles in the area! I called Billy Burgers up on the phone just now and the phone rang a bit and I was worried they weren’t there-then a nice young man answered so I can report they are definitely open for business. Also, the lights that are out on the other poster’s photo have been replaced and are working great. Thanks for the good information. Here’s the address if you go. The Urbanspoon review is all positive, too. There’s a map of all Washington State Burger Joints! WOW. 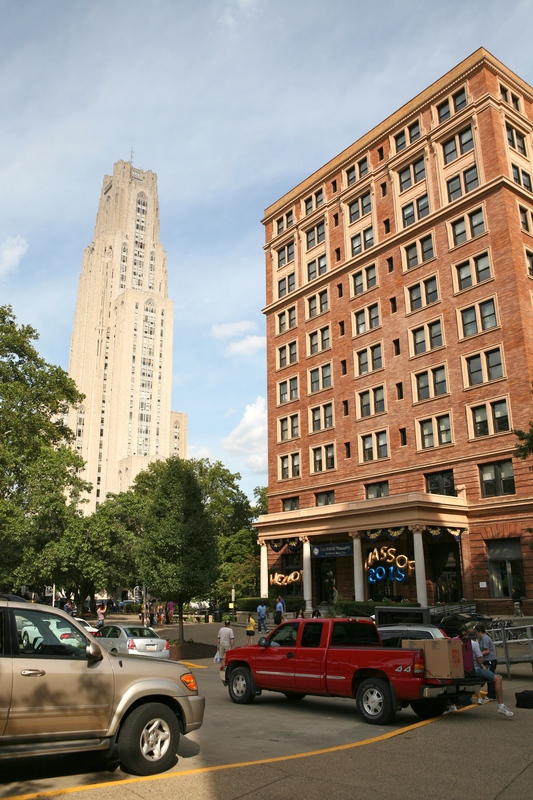 from the archives- Pittsburghers will notice fewer lighted signs on the downtown buildings in this shot- taken 7 years ago this time of year. Tuesday’s post will be back in “real time” . Baseball equals summer to me! Six years ago when I came to the school I am now, there were dried out paints in containers that had been moved to our school. I soaked them to reuse the containers. And when the water went down the drain, this is what was left. I taped newspaper over the sink and made a little sign. DO NOT USE SINK. 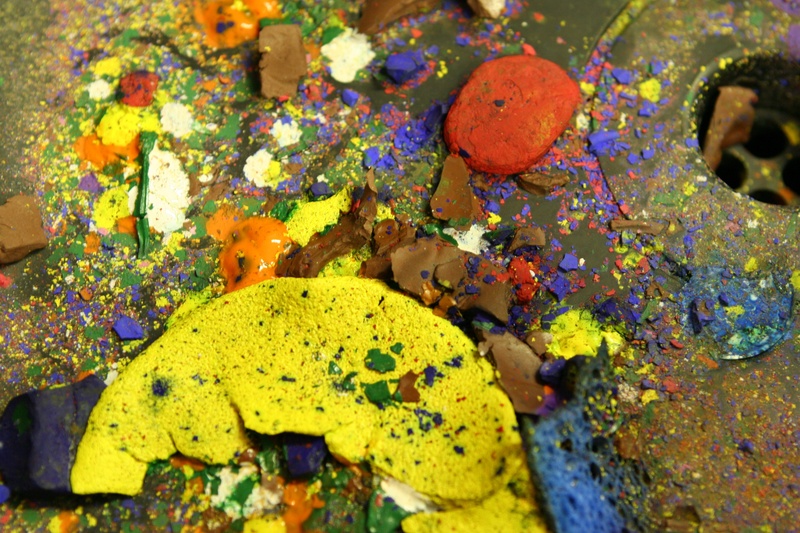 I didn’t tell them why, The next day I brought in my camera, removed the newspaper and photographed the paint splats in the sink. It was really interesting to me. So this is another from the archives. Abstract expressionism. Thanks for all the nice comments and emails and congrats on the 700th post. So what to post for seven hundred and one? WordPress helped me out at the end of the week with releasing the weekly photo challenge today- UP! 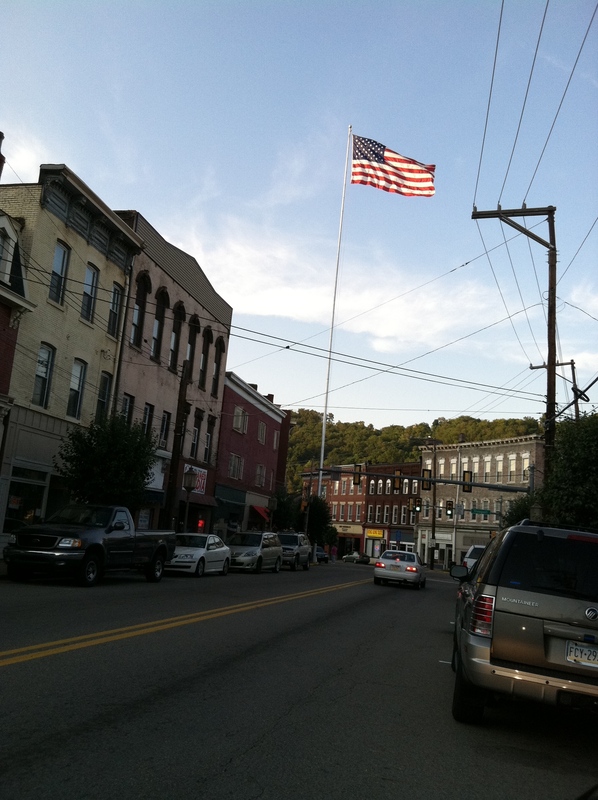 Thought of this photo I took in September 2004 in Hardy,Virginia. Uncle Matty tossing niece Anna up in the air. Wheeeeeee. She started second grade on Wednesday. Matty in in New York City visiting his Aunt Mary (my sister) as they prepare for the arrival of Irene. He heads back to Zagreb, Croatia, soon. You saw him on the Megabus. One thing leads to another. And Winston the rescue horse was in Hardy VA next door to Erika’s(guest blogger) parents. Anyway, I have always liked this photo and the feeling I get looking at it. The trusty Canon EOS Rebel for this shot! Newer readers might want to check out my 10-10-10 blog post of Anna hula-hooping. See time fly by. 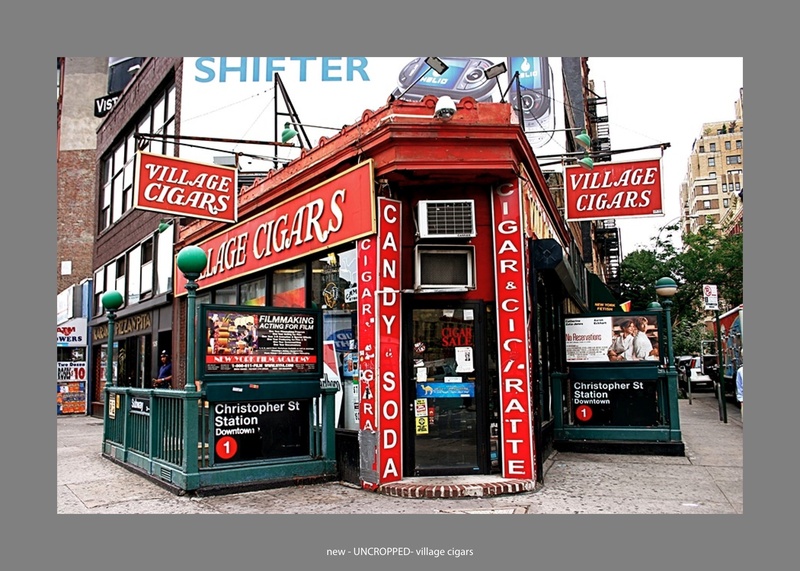 Spring 2008 this photograph VILLAGE CIGARS, sold at the PERSAD Celebrate Life, Celebrate Art auction held at the Carnegie Museum of Art. The first to be auctioned, the bid was fairly low but it still felt good to donate it and the winner was really pleased to get it. It felt exciting to be recognized as Best New Artist that year. You might have seen this image on my website. It marks the spot where we turn right to get to my sister’s place down the block. It’s been there forever. Held together with some duct tape, a little worse for wear,it looks even more ragged these days but my sister helped me get a good angle for this shot suggesting I go across Seventh Avenue. Shot with a Canon 20D, before I upgraded! This is not the original file but a pdf, hence the words at the bottom and the gray frame. Pulling from the archives but not the external hard drives tonight. Friday completes the first full week with students. From the archives. This photo won the Downtown Living Exposed Exhibition a few falls ago, 2008. Pre blog. 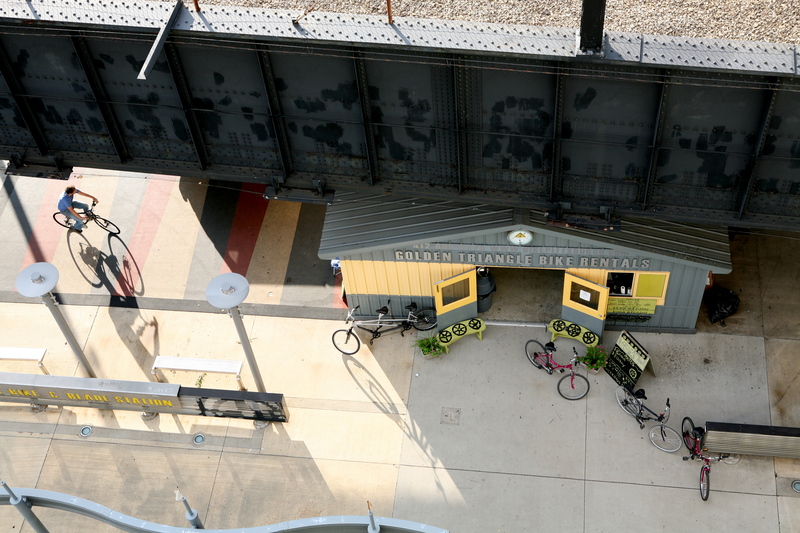 Golden Triangle Bike Rental now has two locations I see from their webpage and a beautiful gallery of Bike Pittsburgh photographs. Tom the owner got on the bicycle as I was leaving and as I looked out the parking garage opening, there was the shadow and cool angle and serendipitious shot. 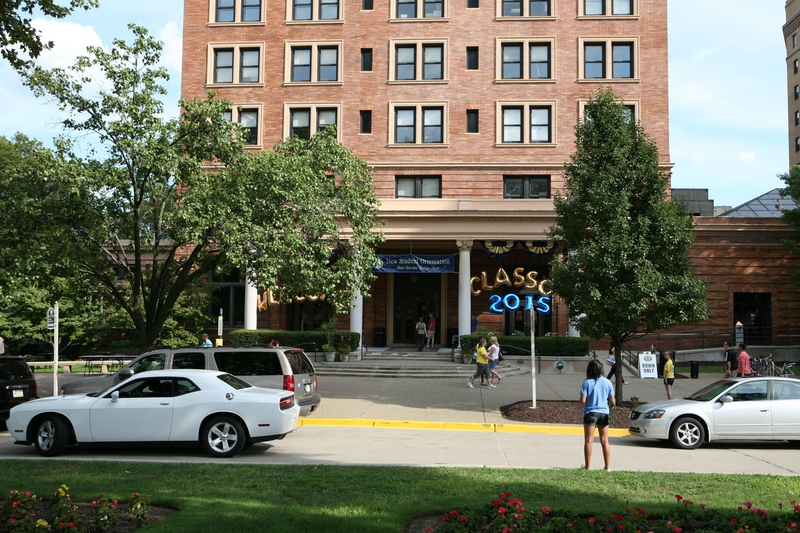 Class of 2015 Arrives on Campus! It’s happening all over the city. Across the state, throughout the country. 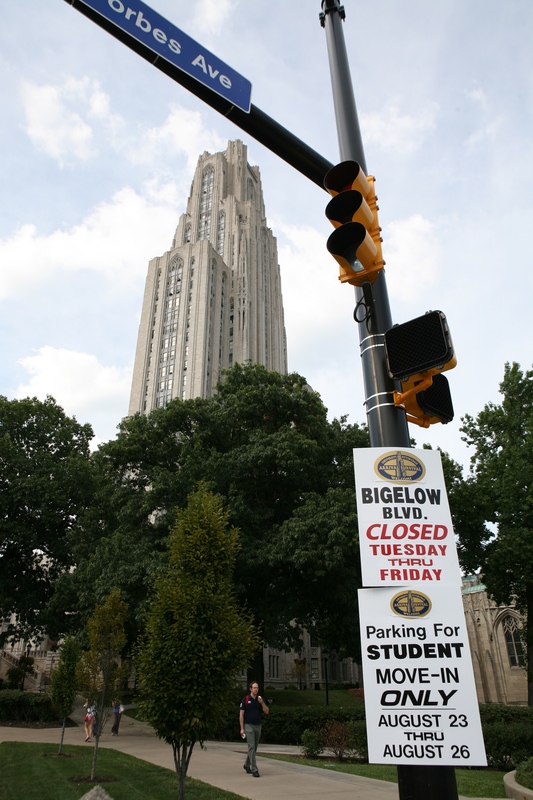 I hear CMU freshman arrived on Monday and Tuesday it was the University of Pittsburgh (no one except out-of-towners call it University of Pittsburgh ) PITT is it! It’s the annual start of school. 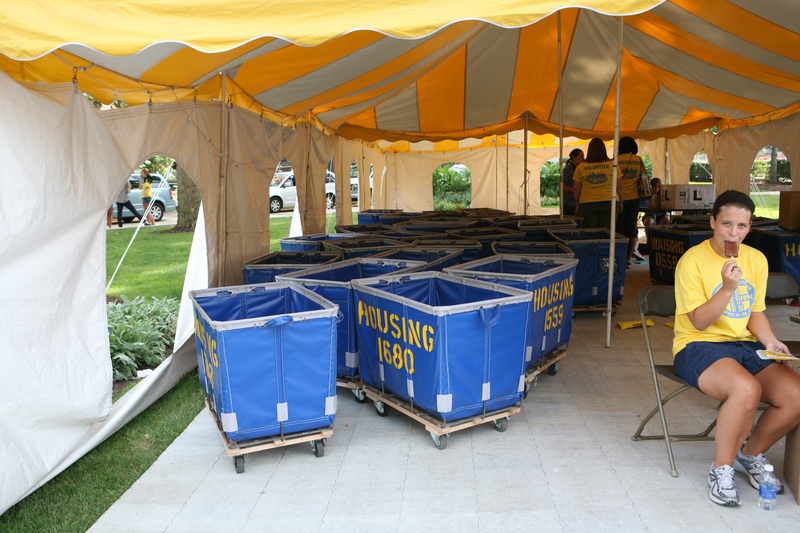 Freshmen arrive on campus and families assist, haul the stuff, then embrace and say,” good-bye!” You see them in the linens aisle at Target, waiting for a bus, walking down city sidewalks in a large group. I pulled over to the curb and put the flashers on along with a line of cars with car-top carriers and U-Haul trucks and trailers. Got out and documented the occasion. Met a few nice and enthusiastic people on my way home from school. Mr. Vincent told of a little brother hugging his older sister and didn’t want to let go. You get teared up witnessing the partings. 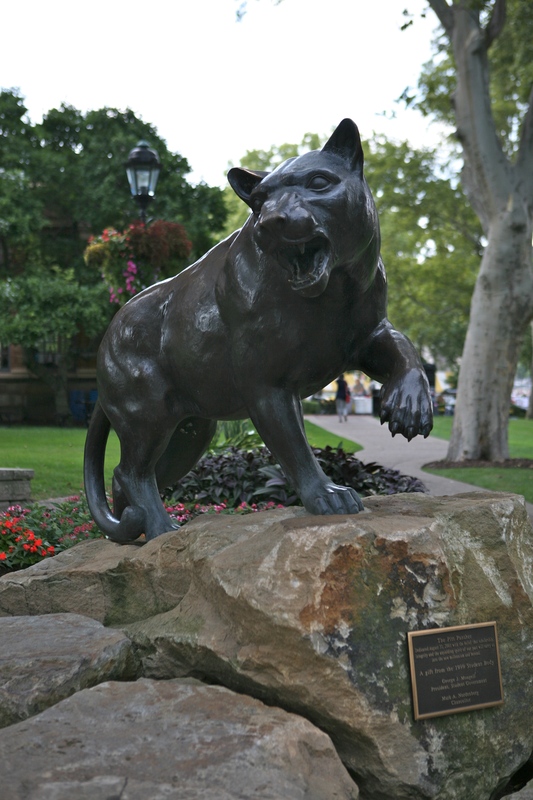 The unbelievable traffic and students arriving will be on television news, the wild moving-in scene. More than 7500 freshman I was told. That’s a lot of people! T-shirt sales were brisk on the corner. A beautiful day filled with mixed emotions. I dedicate this post to my dear friend G and her daughter S who’s a brand new freshman in another state!!! Laura told me today that she started college TEN years ago. I remember taking her like it was yesterday. And S.G. who used to babysit Mark and Matthew is taking two of her own kids back to school, dragging a futon and laundry baskets and who knows what. I love the carting off of the broken down boxes photo. And Michael starts his first day of KINDERGARTEN Wednesday morning, Anna the second grade. I am sure many of these parents were thinking about those milestones as they brought their children to college! Alex and her mom, Dalia, from Philadelphia area (Newtown Square) graciously allowed me to document the moving process. 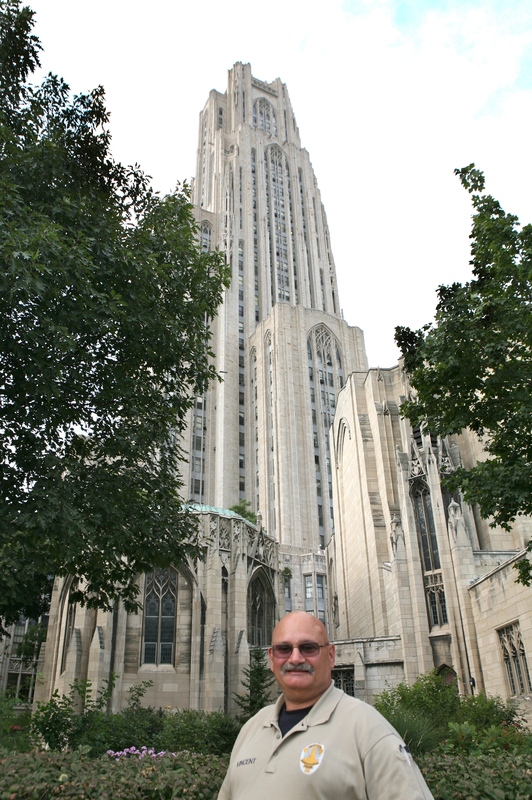 Mr. Mike Vincent, Pitt Class of 1977 (Criminal Justice) is now the guard of the Cathedral of Learning. It was mid July. The sun was dropping and I was on my way home. 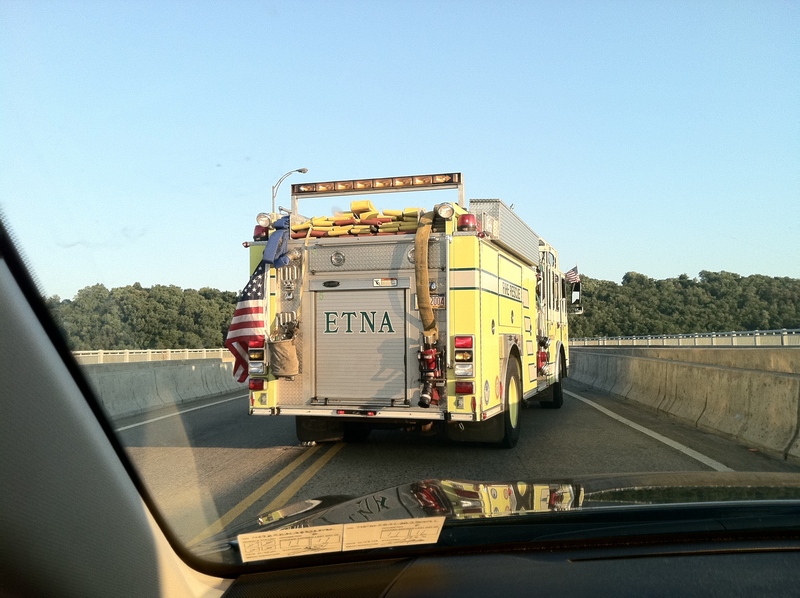 I stopped to photograph the huge American flag in the middle of Etna. and one of the flag shots from the middle of Etna that saved me from being in the accident!. Weekly Photo Challenge: Flowers. This is unretouched, shot with a 70-200L series lens. Nice bokeh in this image. 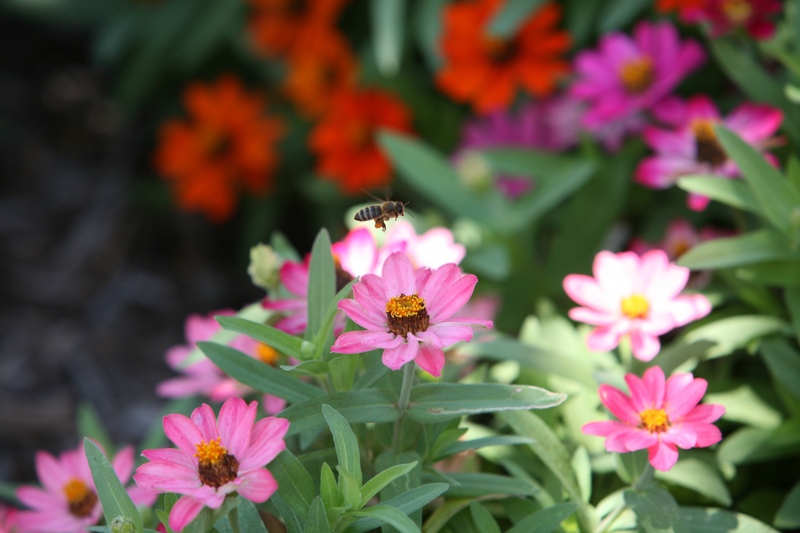 The bee just happened to be in front of a light petal. Photographed as we left the Columbus Zoo a couple of weeks ago. I feel the bee adds interest to the frame.